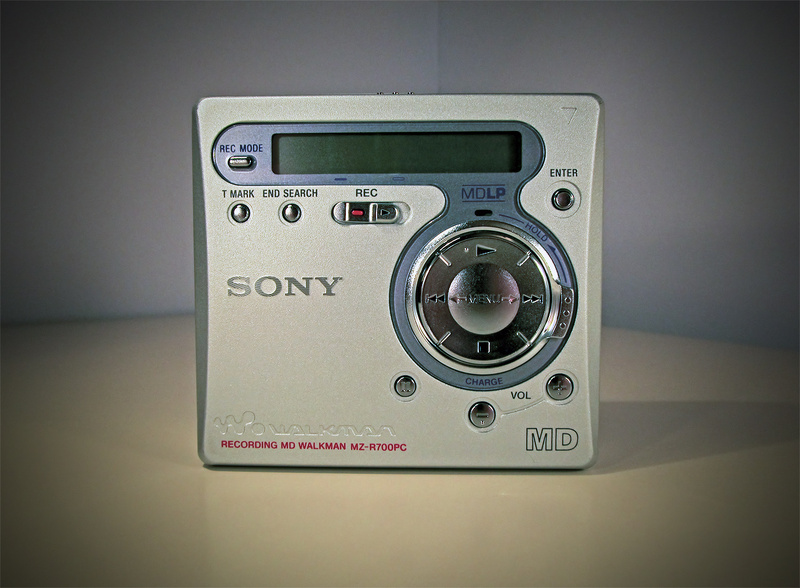 This is finally it: my last MiniDisc article for the time being. I really have enough units already, I love them dearly. No need to buy more. Anyway, today I´m gonna talk about hacking the firmware of certain MiniDisc recorders. 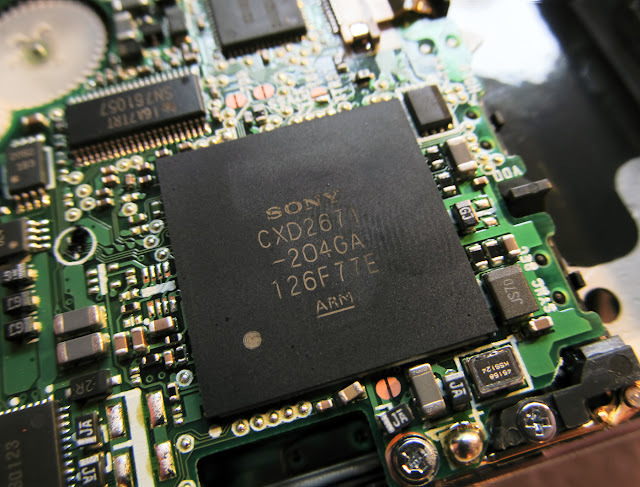 Those devices (and many other) contain a microprocessor that can be programmed to include or exclude certain functions. You can use the same IC for several different units without the need to manufacture two seperate ICs or in other words: the higher the model stands in the line the more functions are enabled. Companies do this to save costs on manufacturing, also do get more revenue. More money equals more features, even if entry levels units would be able to do the same - that would render the flagship models moot of course. Take my Pioneer BDP-140: it shares many features with the higher and more expensive model, the BDP-440. On my entry level player however fewer functions are enabled, it lacks DVD-Audio playback for example. Would you know how to tweak the firmware of the BDP-140 you could in theory add the missing features: my less expensive unit would then have the features of the more expensive unit. This also applies to several MD recorders of mine, by hacking the firmware you can add several features normally reserved for the top-of-the-line models. 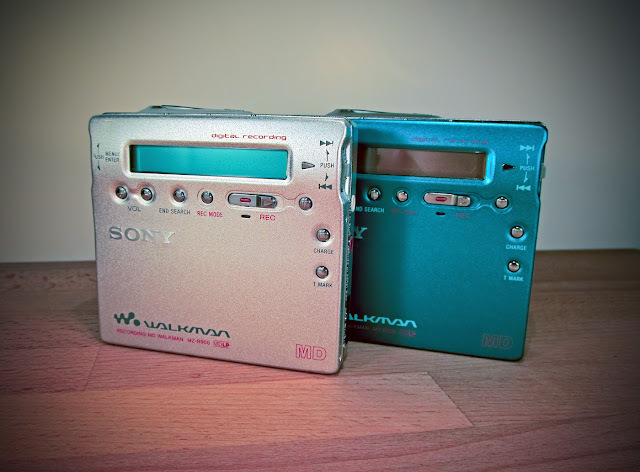 The two units you can see above are a Sony MZ-R 700 and two Sony MZ-R 900. The former was a gift to me from one of our mates, he didn´t need it anymore and upon hearing about my passion for MD he decided to give it to me for free. That made me really happy because I love new gadgets to play around with and I also wanted to try hacking its firmware. 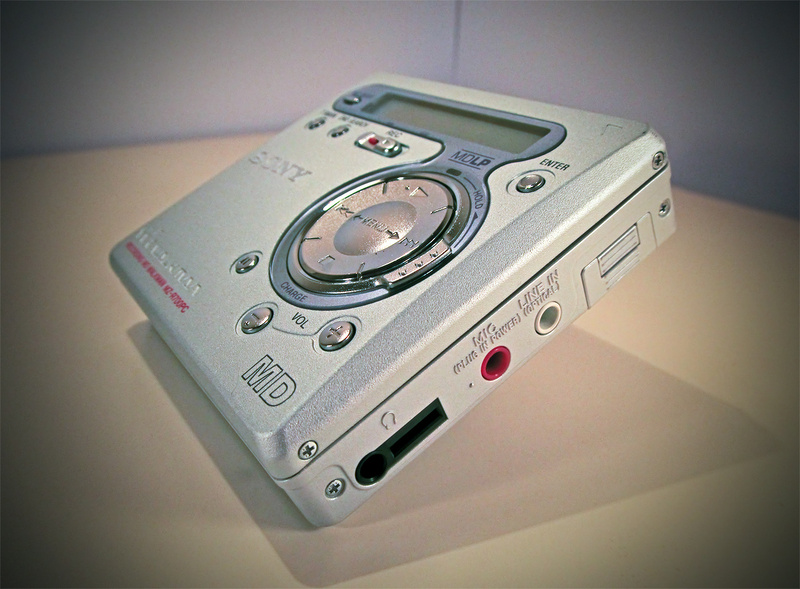 The MZ-R 700 was released in January 2001 together with the entry level model from the same production line, the MZ-R 500. The flagship MZ-R 900 had been released six months prior and according to many people all over certain boards it wasn´t as technically advanced as the later models. Being the top model it was of course much more feature heavy but it supposedly still lacked the newest ATRAC chip. The MZ-R 700 & MZ-R 500 were equipped with ATRAC 4.5 DSP Type-R configured to use the worse ATRAC 4.5 simply because the top model was using it: the cheaper models weren´t allowed an encoding engine more sophisticated than the one from the top model. Another proof was that the successor of the MZ-R 500 - the MZ-R 501 - was using ATRAC 4.5 DSP Type-R (proudly advertising it) yet both were using the exact same ATRAC IC, the CXD2671-204GA (MZ-R 700: CXD2671-203GA -> same IC, different hardware revision). Knowing that fact many people subsequently hacked the MZ-R 500 / 700 into not only having more features but also to use the more advanced ATRAC instructions. This could be done safely since MZ-R 500 / 700 / 501 were basically the same models with different shells and finish. But all the while people left the MZ-R 900 alone, using only the older ATRAC configuration. As it turns out the MZ-R 900 also used the very same ATRAC IC that turned the lower models into such pristine recorders. 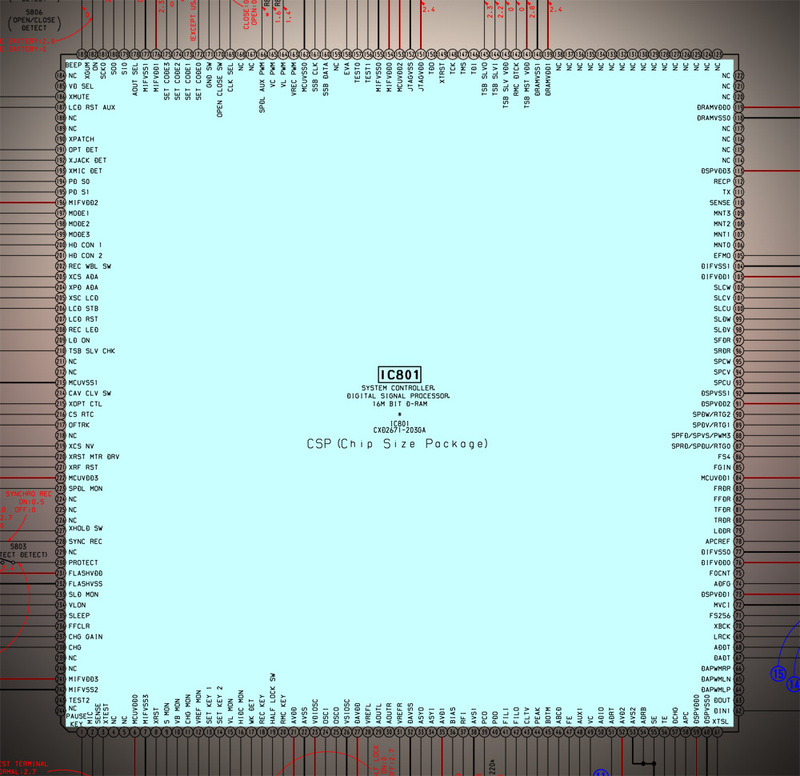 Look at the picture directly above: it shows the ATRAC IC on the PCB of my silver MZ-R 900 (the fingerprint is not mine and now gone), the CXD2671-204GA. Today I also opened up my blue MZ-R 900 and guess what: I found the same chip again. 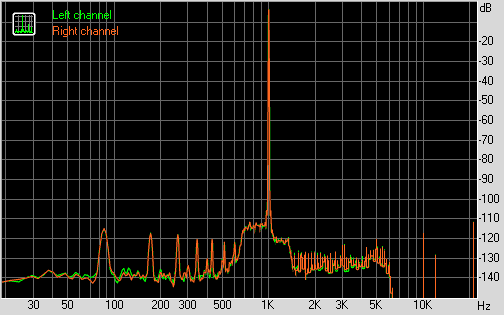 That means that both of my MZ-R 900 are able to use the more advanced ATRAC DSP Type-R. So I decided to hack their firmware based on this guide here on sharoma.com. Before we start to hack away a short disclaimer: I´m not responsible for any damage that might happen should you make something wrong. Firmware hacking can be an extremely powerful tool but it can also destroy your recorder completely! If your unit is dead after hacking its firmware don´t blame me, you are doing this on your own responsibility! Read this guide at least once before you actually start doing something. I also recommend reading the hints below it and to look at the pictures showing how the display looks. You finished reading? Then let´s start: first of all you have to enter the service mode on your unit. You have to remove any disc, you also have to make sure that it is sufficiently powered. I would add a fully charged battery as well as connecting it to the power supply. I also would unplug the remote as we will apply the hack by using the buttons on the unit itself. To prepare for service mode switch the HOLD mode on. Then hold down the VOL- button (just like the Shift key on your keyboard), then press the following combination quickly: » » « « » « » « then press PAUSE twice. Release the VOL- button. Should you have been successful the display of your recorder is now flashing its firmware version, my two MZ-R 900 were displaying V1.300 00 2. Press PLAY seven times. On the right you should now see 867 and on the left three rolling numbers and three steady values. Ignore the first. Using the VOL+- keys change the value on the left to S67, then press PAUSE to save. Press PLAY to go to the next register 868 (on the right), change the value on the left to S01, press PAUSE again to save. Exit Service Mode by removing all the power from the unit. You don´t need to hurry once you have enabled the Service Mode. Take your time, it´ll be much less unnerving. Also, you can always go back to the starting point (where it flashes the firmware) by pressing STOP repeatedly. Remember: pressing PAUSE always stores the value you have just changed. If you don´t press PAUSE nothing will be saved. After changing the values and leaving Service Mode you should enter it again to make sure you really have changed the two values. Should you have done something wrong or if you want to reset the changes here are the original values: for 867 it´s S00, for 868 it´s S20. Shouldn´t you trust my instructions please refer to the site where I took them from: www.sharoma.com/minidisc/hacking.htm. Congratulations! 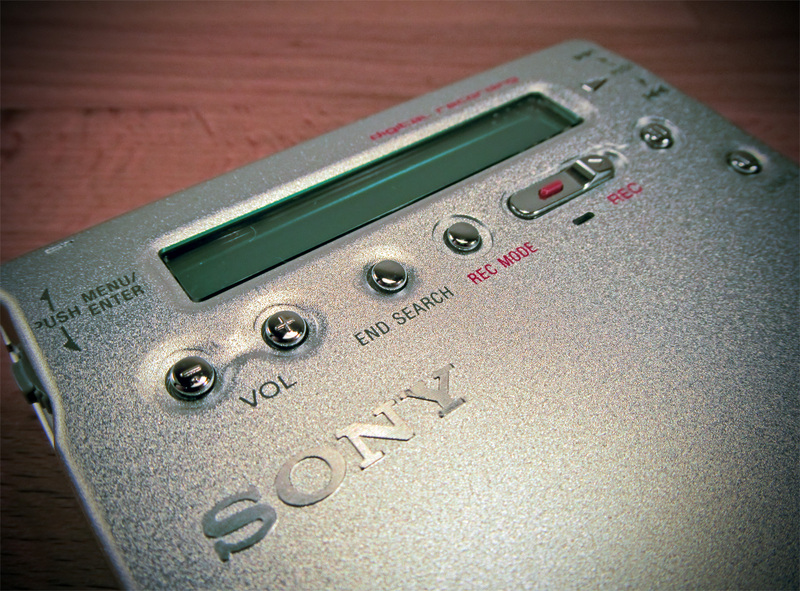 If you have done it correctly you now have enabled ATRAC DSP Type-R on the Sony MZ-R 500, MZ-R 700 and MZ-R 900. I won´t tell you how to add more features to your unit, most of them are pointless anyway in my opinion. I was only interested in changing the ATRAC code... imagine: by hacking a firmware you can have better sound quality. I have not yet found any flaws, my three units still function perfectly. What? You want to know if changing some values really had an effect on ATRAC encoding quality? How lucky you are today, of course I anticipated this and therefore I´m going to present measurments to you (enlarge the pictures and scroll through them, that way you can see differences more easily)! 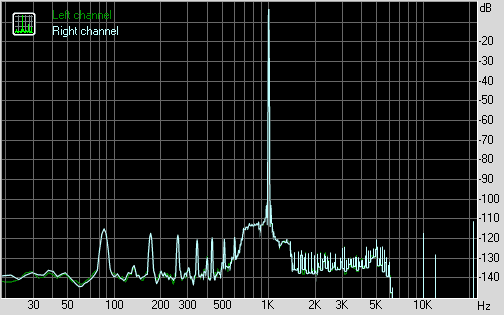 ATRAC IC of the MZ-R 900 after hacking: DSP Type-R performance! Naturally all other measurments are the same. The 'attention-shifting' effect I described before also happened here. Are you surprised? I was, I now haven´t got any ATRAC 4.5 device left. I don´t care, naturally I´m gonna use ATRAC 4.5 DSP Type-R exclusively in the future. But one thing is curious: why didn´t Sony activate the most advanced ATRAC codec in the first place if the MZ-R 900 was already equipped with it? When it was released it was the only portable ATRAC 4.5 around (the predecessor probably used ATRAC 4.0) and Sony could have easily skipped an ATRAC generation, going straigt from ATRAC 4.0 to ATRAC 4.5 DSP Type-R. Why they didn´t do so is a mystery to me. Anyway, now I´m going to enjoy some music in pristine quality. Tata! ... so does this one. Wonderful! Schöner Bericht, deckt sich mit meinen Erfahrungen. Type-R klingt deutlich besser als 4.5 was Pre-Echoes und Smearing betrifft, besonders bei Cymbals zu hören. Mir schien auch der R700 etwas langlebiger als der R900, welcher leider sehr oft Probleme mit dem Antriebsritzel und dem Schreibkopf altersbedingt aufweist (so auch meiner). Der MZ-R 900 ist ein tolles Gerät aber ich gebe dir recht: als Aufnahmegerät taugt er wenig. Die Aufnahmen die er macht laufen nicht fehlerlos auf allen Geräten durch. Der große Kenwood z.B. produziert mit R900-Aufnahmen Drop-Outs oder springt gleich zum nächsten Track. 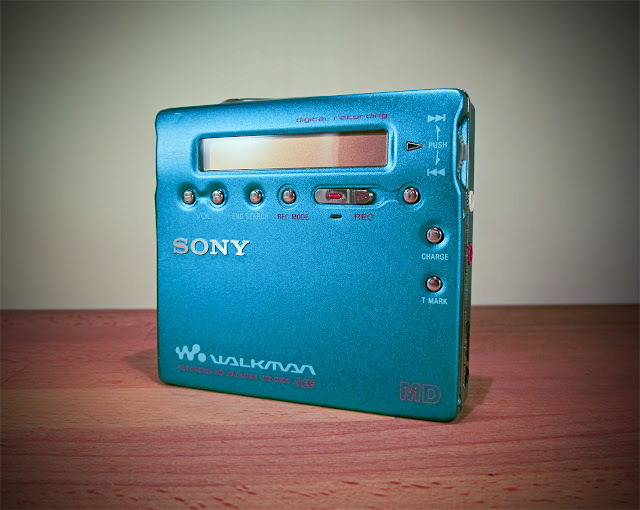 Ich habe gerade einen R909 ersteigert und hoffe dass Sony bei dem die Probleme etwas vermindert hat. Also solche AUfnahmefehler liuegen bestimmt nicht generell an dem R900. Ich vermute da eher einen beschädigten Overwritehead bzw eine Disc. Ich habe selber einige R900 und die Aufnahmen laufen absolut problemlos egal auf welchem Gerät.Meistens deutet sowas auf ein dahinscheiden des Overwritehead hin. So zumindest meiner Erfahrung nach. Dann ist der Overwritehead aber sehr empfindlich. Ich hab zwei MZ-R 900 (wie man oben sehen kann): der blaue geht noch, der silberne ist offenbar völlig hinüber. Trotzdem sagen beide beim Eigenkalibriervorgang dass bei der Aufnahme alles völlig OK ist. Bisher hab ich mit der Generation die nach dem MZ-R 90 kam leider keine guten Erfahrungen gemacht. Ein MZ-N1 war zwei Wochen nach Ersteigerung kaputt (und hat vorher reibungslos funktioniert) und wird jetzt nur als Akkuladegerät benutzt. Ich würde das ja reparieren aber da müsste ich die gesamte Einheit tauschen - und das trau ich mich nicht wegen der winzigen Größe. Selbstverständlich ist der Head das empfindlichste. Bereits eine kleine Abweichung in der Distanz zur Md kann Fehler auslösen.Ich habe Bilder gemacht von kaputten wo ein ganzer daneben liegt.Der Metallbügel auf dem er befestigt ist ist so leicht und dünn das er schnell verbiegt.zB wenn jemand eine Md falsch herum einlegt, oder den Recorder gewaltsam öffnet wenn er einen Schreibfehler hat.Auch ein sterbender laser im nachfolgenden Abspielgerät kann der Fehler sein.Ist die Aufnahme zwar gelungen aber der Laser etwas schwach in der Leistung hast du dasselbe Ergebnis. Himmel, der verbogene Schreibkopf sieht ja furchtbar aus! Wie kann man das denn mit den Geräten machen? Ich frag mich das jedesmal wenn ich Geräte sehe die von außen oder innen so aussehen... gehen denn die Leute nicht sorgsam mit ihren Dingen um? Der Schreibkopf meiner beiden R900 sieht gut aus - liegt auch plan auf wenn er schreibt. Natürlich hab ich das nachgeschaut weil ich auch vermutet hatte dass das die Ursache sein könnte. Aber mittlerweile benutze ich beide kaum noch... der R900 geht mir irgendwann einfach mit seinem ultrapräzisen und explosiven Klang auf den Geist (wahrscheinlich durch hochfrequenten Jitter verursacht)... so hübsch das Gerät auch ist, in bester Qualität aufnehmen kann ich auch mit dem N510 und N707. @Fabian: Aufnahmen mit dem R900 müssen nicht zwangsläufig defekt sein, das stimmt wohl (bei einem funktionierenden Gerät ist auch von funktionierenden Aufnahmen auszugehen). Nichtsdestotrotz ist es weithin bekannt, dass der R900 sehr häufig die von mir beschriebenen Defekte aufweist und im allgeminen nicht als langlebig zu betrachten ist. Im minidiscforum.de finden sich hierzu bspw. sehr viele Threads, bei denen User von ihrem defekten R900 berichten. Fabian hat nicht unrecht... der Kenwood DM-5090 hat jahrelang im Zigarettenrauch gestanden. Und Laserlinsen sind ja nicht nur von oben empfindlich gegen Rauch, die haben ja noch eine Unterseite, dann mehrere Spiegel und dann den Laser selbst, also zahllose Stellen die über die Jahre verdrecken können. Gut möglich dass der nur noch wenig sieht. Und die R900 laufen auf jedem ANDEREN Gerät (der MZ-E 25 zickt manchmal rum... aber das macht er bei jeder MD, egal wo aufgenommen). Dennoch: der R900 tillt auch beim Abspielen einfach so durch. Dann dreht er hoch und rattert komisch, dann 'beruhigt' er sich wieder und macht ganz normal weiter. Für mich sind die Geräte unzuverlässig. Ich werde irgendwann einen Artikel schreiben in dem ich die meiner Meinung nach zuverlässigsten und praktischsten Geräte aufzeige.